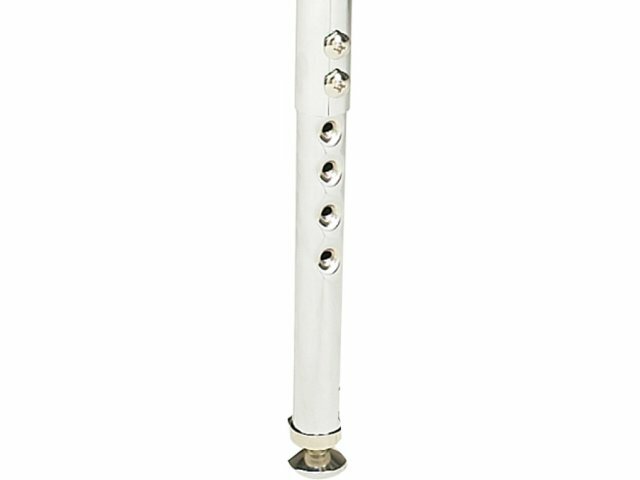 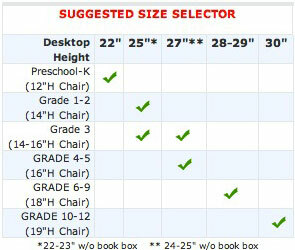 Adjustable Height: Legs adjust to set height between 24" and 32". 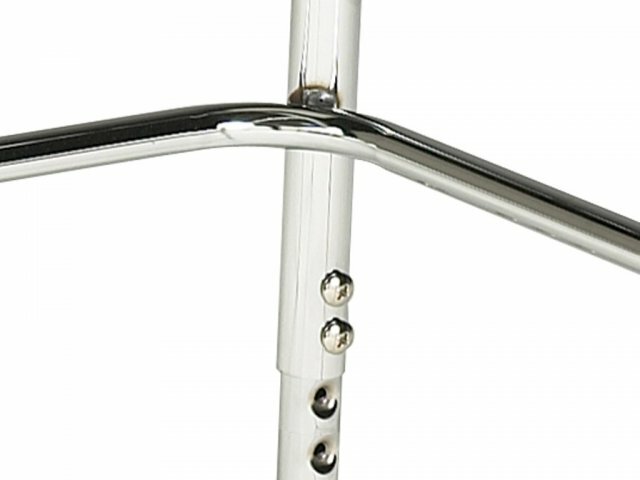 Stable: Two screws keep each leg at a set height. 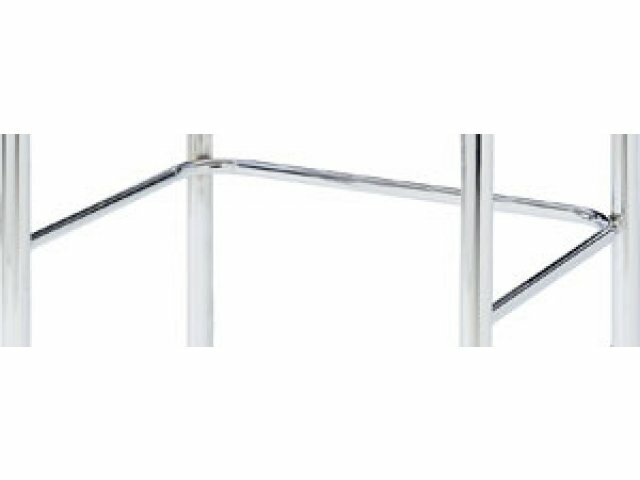 A phillips-head screwdriver is needed to change the height of the legs. 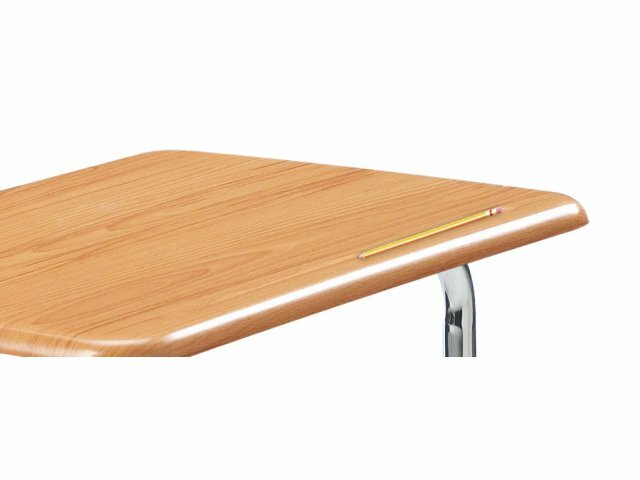 Self-adjusting glides keep desks steady. 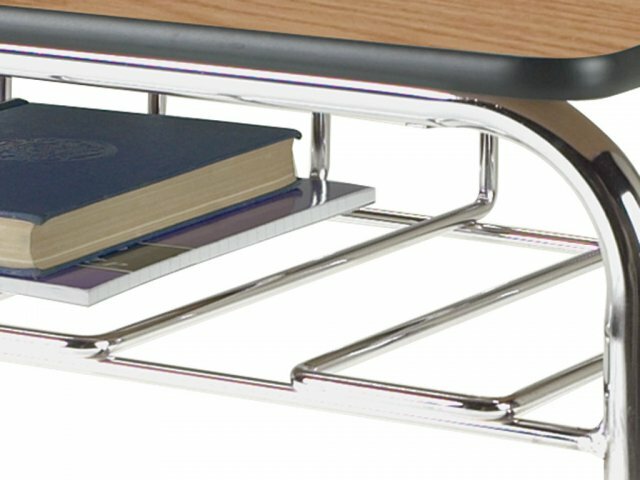 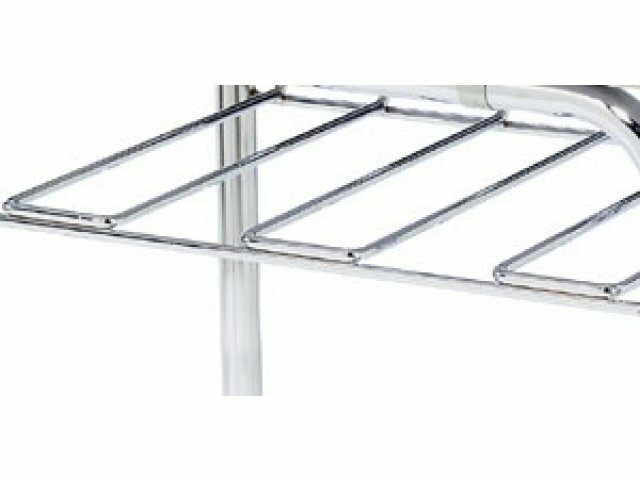 Visible Storage: 3/8"-thick, steel-rod book-basket keeps contents in full view. 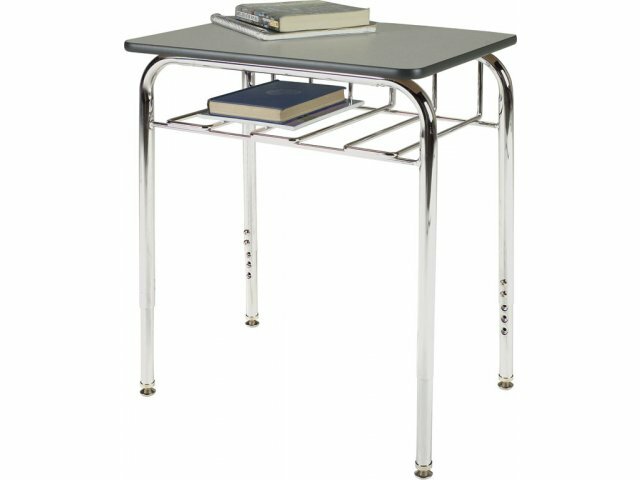 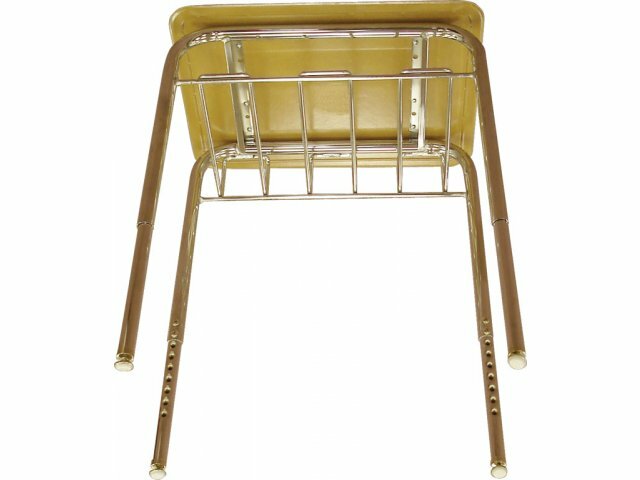 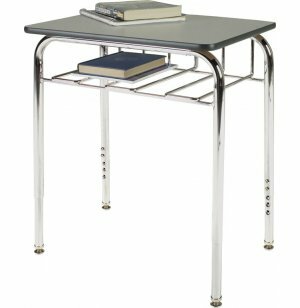 Strong Frame: Unitized, chrome-plated, 18-gauge tubular steel frame is held together by steel tubing and braces, not book-basket.